Lived experience is often the most powerful catalyst for innovation. 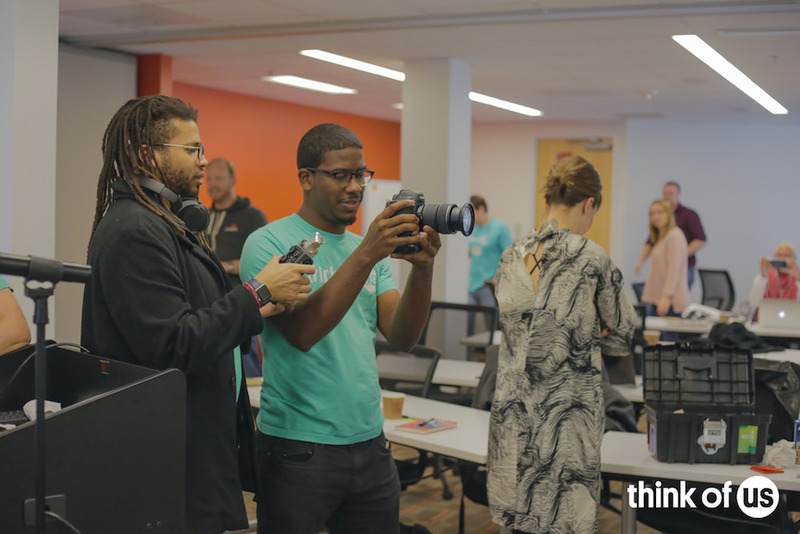 No one exemplifies this more than Sixto Cancel, founder and CEO of Think of Us, a non-profit dedicated to improving foster care with technology and data. The mobile life-coaching platform helps young people connect with their support system and manage their needs—housing, transportation, money, health, relationships—as they transition from the foster care system into adulthood. Sixto, who will be speaking at PSFK’s CXI 2018 conference on May 18 in New York City, grew up in foster care and went on to become a leading voice in a national conversation—including organizing the first ever White House Foster Care & Technology Hackathon during the Obama administration. We sat down with him to talk about his plans for empowering youth in education, work and life. PSFK: We’re thrilled that you’ll be speaking at our conference on May 18. Can you tell us about Think of Us? What led you to start it? What are you hoping to achieve? Sixto: The journey really begins with my own personal story. I entered foster care at 11 months old. By the age of 9 I was adopted, and it was a pretty racist and abusive adoption, so at 13 I found myself couchsurfing until I was 15. At 15, I reentered foster care and when I did, everything was about getting ready for what would happen after high school—what would happen after my 18th birthday. In foster care, young people come in because there’s some type of neglect or abuse and then, if you’re not adopted or back home by 18, in many states you age out of services. So you have to just figure out how to take care of yourself, where to live, if you’re going to go to school. I was fortunate I was part of Connecticut’s foster care system that gave us some support after 18 around college and was very supportive with housing. But I had to figure out what would I do at 18—would I stay in the system? How would I take care of myself even if I was staying in the system? So I was fortunate to be able to do that. But that journey led me to thinking through the lack of humanity when it comes down to what happens. The government takes young people away from their homes because they believe that the young person’s unsafe, which tends to be true sometimes, and they believe they can provide a better life. That’s where Think of Us came from. The idea of, “What if we created a life-coaching platform that actually helps young people navigate from being in foster care to being self-sufficient?” Being engaged in education, being stably housed and being engaged in employment. Where are you in the launch process? We have a web and mobile platform. The mobile platform is launching soon—the first beta of it. For the web platform, we did a soft launch in October, and that beta resulted in us understanding, “Wow, we missed a few things.” So we had to go back to the drawing board on a few things. Now we’re excited to be at a new stage. I saw that you’re planning on collecting and using data from the platform. What are some of the applications you’re envisioning? One of the things I get very excited about is the idea that we might be able to use the data that we’re getting from the app for real-time decision making for social workers. If 60% of your young people are making goals around X, what does that mean? For example, in the first 90 minutes of our data with Nebraska beta testers, there were 67 goals created. 62% of those goals had to do with financial literacy or purchasing something. That provides staff with an insight that the majority of your young people are thinking about how to save money or how to buy something. So how can staff position themselves to support the young person by paying attention to those goals? How has it been getting social workers, organizations and agencies on board with what you’re doing? There’s a lot of excitement from people. I think we’re going to start seeing more when it goes beyond just a few young people and we start reaching thousands of young people in a specific county. We need to have not just the early adopters. We’ve been fortunate at the stage where we’re working with the early adopters, but what about the resistant social worker who doesn’t like any new initiatives? I don’t know. We’ve gotten a lot of positive feedback so far, but it’s a skewed data point because, of course, in any beginning of anything it’s always the people who are the champions who are there. I was wondering about that because it definitely seems like an area where there would be a lot of old-school paperwork and resistance to new things. There is a lot of paperwork, and a lot of “This is the way it’s always been done.” But people got into this field to help people. And unfortunately workers and paid professionals end up spending a lot of time handwriting case notes, documents and so forth. So this is an opportunity for them to spend more time with their clients instead of having to do the more administrative stuff. You’re also hosting hackathons. You’ve taken a lot of the tech world strategies, which are about high performance—how do we accelerate this, fix this—which are ultimately in tech for capitalist gains, but you’re repurposing that for this amazing social mission. I believe that there can be an equilibrium between impact and revenue. How do you have enough revenue, matched up with the impact that you’re trying to make, to be self-sufficient so you can sustain an organization that’s doing critical work and bringing back results? It’s the best of the non-profit world, where you’re doing things that help people in everyday life, and the for-profit world—independence from being reliant on grants and the politics of all of that, and being able to be self-sufficient. Now merge them together to get a social enterprise. Can you give us a hint as to what our conference audience might expect to take away from your talk? I always think to myself, when it comes down to a talk, the best kind of learning comes from just having examples of the work. But most of the time people already have a sense of what’s going on—of what they’re trying to get out of something—and it’s only confirmation when you hear a speaker. We’re all struggling with these ideas and with these pivots or a big decision, and sometimes hearing someone say, “Make that move,” is what you need in order to make that move. Join Sixto and other pioneering speakers for CXI 2018 on May 18 in New York City—details and tickets available here.